Family Reunion Gifts are a great way to remember this day. We know that most families don't get to have enough family reunions. We've had one family use this as a time capsule for the younger members of the family. And each year they have us make one to fill with notes (and first candy-- see our mint ideas if you'd like yours filled too!) Then when the children are older, and the generations have changed. They still can remember the ones that went before them. Family reunions can be a lot of fun! 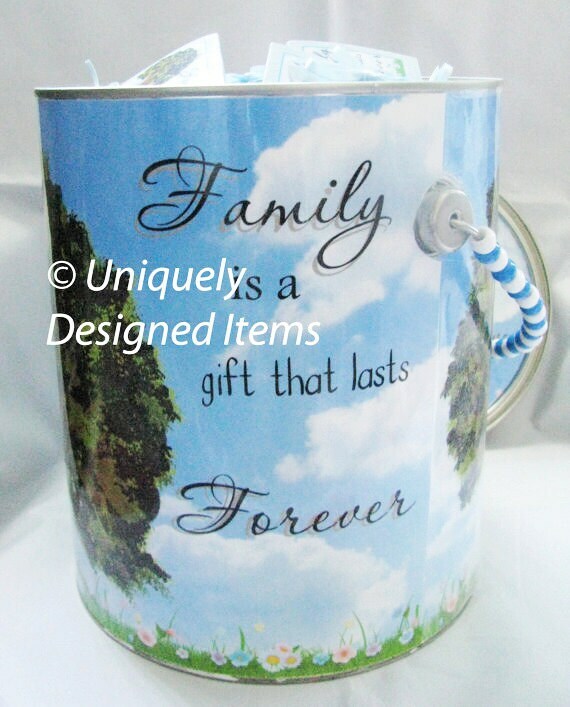 And these keepsake cans are a great way to remember that special day. This order was also for 75 mints to put in the can. You could order one for each table or one for the main table. And either fill it with your own candy or order our custom candy. In this case the mints were made to match the keepsake can so that everyone at the reunion would have something special to take home. Chocolate is also a great filler! Hershey minis are great if the heat isn't a problem. Feel free to convo me with any questions about either the keepsake can or candy to fill it. This listing is just for the keepsake can. Request a custom order for items to fill it. Also great for: birthdays, school reunions, and other events! Custom orders for any event are welcome. These are also popular with the kids for birthday gifts. Fill it with a few little gifts and they'll love the keepsake can. 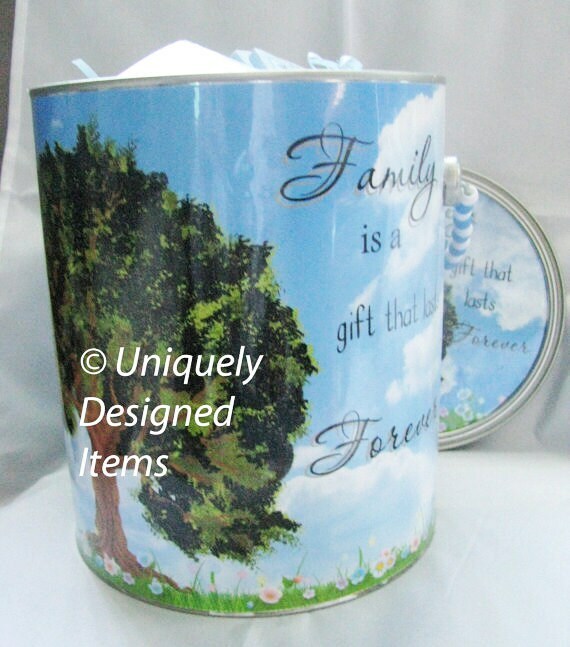 I have many customers who say their kids keep their keepsake cans in a special place with their special things in there. Please convo me for shipping to your country on keepsake cans (or mints). I cannot ship any chocolate.